Check out Tobi's Looking Up Modal Top The I Look Up Basic Top features a loose fit body and wide neckline for an easy look. Pair with skinny or boyfriend jeans to complete a relaxed look. 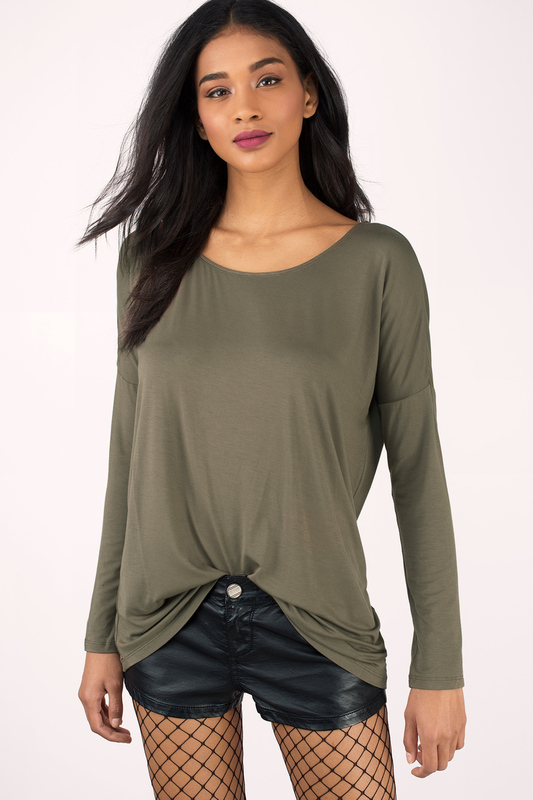 The I Look Up Basic Top features a loose fit body and wide neckline for an easy look. Pair with skinny or boyfriend jeans to complete a relaxed look.